It’s all well and good to critique the racing games I play to attempt to understand them but what about my driving style? What is it about my approach, mentality and techniques that makes the genre so enjoyable personally, and enables me to understand what most players probably wouldn’t? 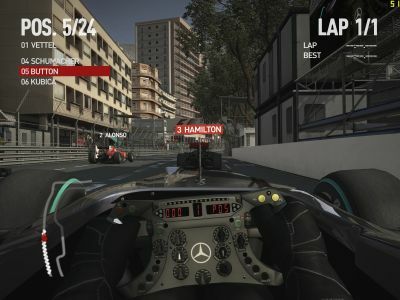 In this series of posts I’m going to analyse my driving in an attempt to demonstrate how I do it, why, and to explain why I think and talk about racing games the way I do. It’s impossible to understand a driving style without first examining the general information about it. This includes things like the general approach to a circuit’s corners, finding racing lines and discovering brake points, and maintaining a level of patience and consistency, particularly when dealing with opponents. My F1 2010 Living The Life series may be focused on the story of racing at the elite level of Motorsport (or pretending to) but it also brings to light, indirectly, how I go about my craft even if I am essentially role-playing in that game. The first interesting thing -- and something I was aware of already -- is how quickly and consistently I push the limits: of the car, the circuit and my skills. Right from the get-go I am searching for the limits, nonchalant about whether I go too far in doing so and certainly not easing myself into what’s actually possible like other drivers might. This is both a blessing and a curse in the sense that I find the limits quickly and can get on with the task at hand, but do so in a way that is risky and opens up more opportunities to crash, spin off or break the rules of a game, such as cutting a corner. This is a detriment because it could impede on my goals at the time -- setting a fast lap time, passing an opponent, etc. -- and affects my ability to focus on them due to the distractions incidents or mistakes could bring. It is also a massive benefit because it allows me to reach a fast pace and maintain it quickly, rather than build up to it; enables me to develop a rhythm and therefore consistency faster than others, assisting my lap time or ability to attack; and it gives me momentum which, in some instances, allows me to push even further, increasing opportunities and pushing potential higher. This means that I do things like brake late into corners, don’t have a problem with running wide -- yet I do have issues with understeer, something I’ll explore in a future post -- so long as I can still exit a turn quickly, and don’t mind if the car gets a little wheel-spin off a curb or bump. I’m quite aggressive, then, attacking all the time and relentlessly trying to go faster, even if I should be going slower. This makes lap times and the limits of a single lap my area of expertise, then -- which surprises no one -- as well as provides a good, fast balance over longer distances, such as in an endurance race. It’s at a higher risk, however, keeping me at the front or top when things go as planned but severely hurting my progress if I push too far and screw up. Intriguingly, this added risk and increased margin for error doesn’t affect me mentally out on track because I’m quite a patient driver, too. I am quite happy to follow an opponent lap after lap, waiting for the right opportunity to pass, and if I don’t post a fast enough time while in a time trial, for example, I will keep going until I do. Going around in circles for 100 laps isn’t an issue for me and, in a lot of cases, is something I will do anyway -- regardless of goals -- because I find it fun to do so. 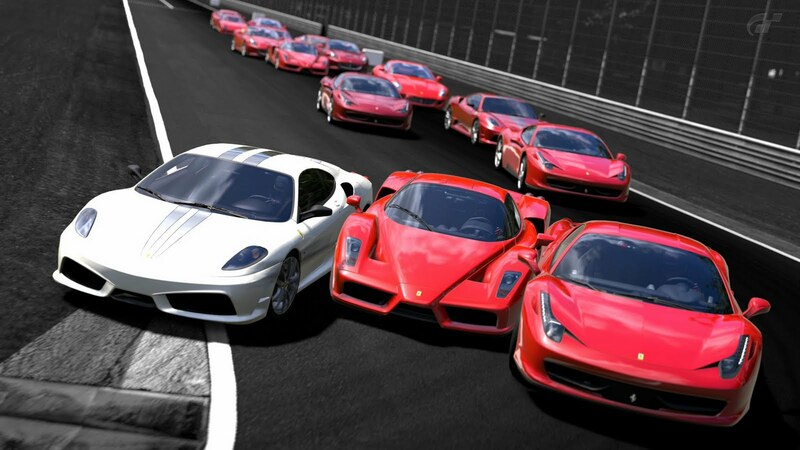 While racing I don’t try to win in the first corner or first lap; I’ll follow those ahead of me instead, biding my time to discern their weaknesses so I can then manipulate them by following behind closely, or pushing them into making unnecessary mistakes. I’m also happy to capitalise on an opponent’s passing maneuver, sneaking up the inside (or around the outside) when they have opened up a gap with their own overtake. If I’m being tailgated because my car isn’t quick enough or whatever, then I am capable of making my car incredibly wide and am able to place it where I need to -- through my intricate knowledge of a circuit -- to ensure that nobody gets through, something I can do consistently, lap after lap. I can think of the bigger picture, in other words, which helps me with my goals and alleviates some (but not all) of the problems my aggression on track can expose. All in all I’m proud of my driving style because it opens doors others wouldn’t be aware of and it is something that has been refined through the many racing games I have played over the years and my experience with them, but it’s not perfect and could use some improvement as I continue to strive for perfection. In the next few posts of this series I will explain what needs work and what doesn’t, beginning with the next post focused on my techniques. Stay tuned.